SEBI releases new categorization and rationalization rules to help investors and forces AMCs to crop the scheme portfolios. The capital market regulator, Security and Exchange Board of India (SEBI) had already crafted a new circular for the ‘Categorization and Rationalization of Mutual Fund Schemes’ to bring in uniformity in the mutual fund industry. In compliance with the SEBI’s new categorization rules, mutual funds are now compelled to change the fancy names that were christened to the schemes. Names of nearly 300 to 400 mutual fund schemes are expected to change over the next few weeks. The investors are suggested not to worry in case the scheme in which they have invested has been renamed or disappeared. Why Has SEBI Taken Such Step? The step has been taken to ease the process of evaluating the mutual fund schemes so that the investors can take an informed decision before investing in them. Prior to this, the lack in the standardization of the MF categories privileged the mutual fund companies and research & advisory firms to implement their own categorization methodologies. This posed difficulty for the investors in evaluating, comparing, and selecting the suitable investment options. The move is expected to end the practice of launching and mis-selling many similar schemes for the sake of asset mobilization by fund houses. 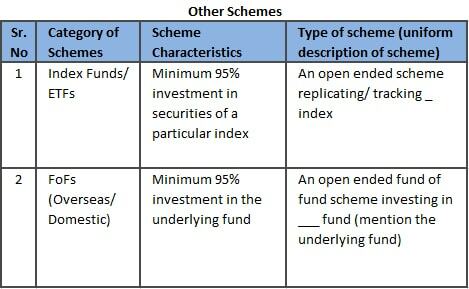 Apart from the disciplined categorization, the mandate also directed the mutual funds to have only one scheme per category. In accordance with the rationalization process, the AMCs having more than one scheme in a category are guided to either wind-up, merge, or change its fundamental attributes with the regulator’s permission. How to Find Out a Scheme’s Category? 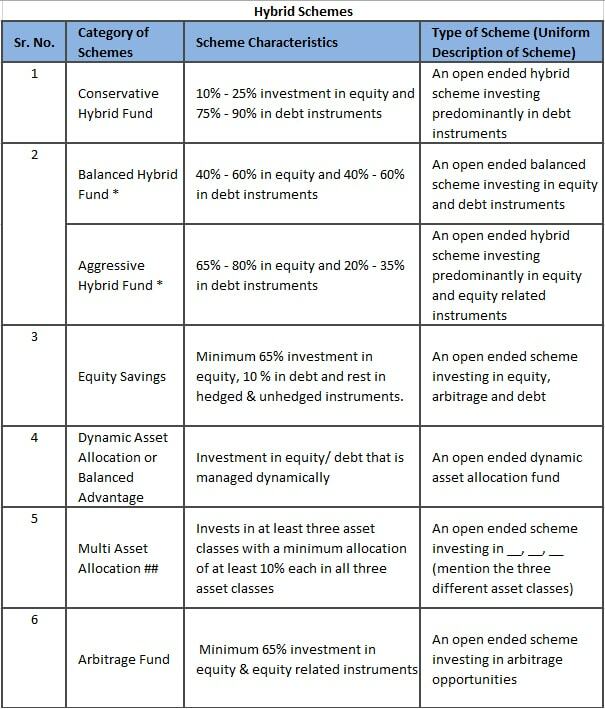 The comprehensive circular issued by SEBI clearly demonstrates the norms and asset allocation for each category. Let us understand this with some examples. 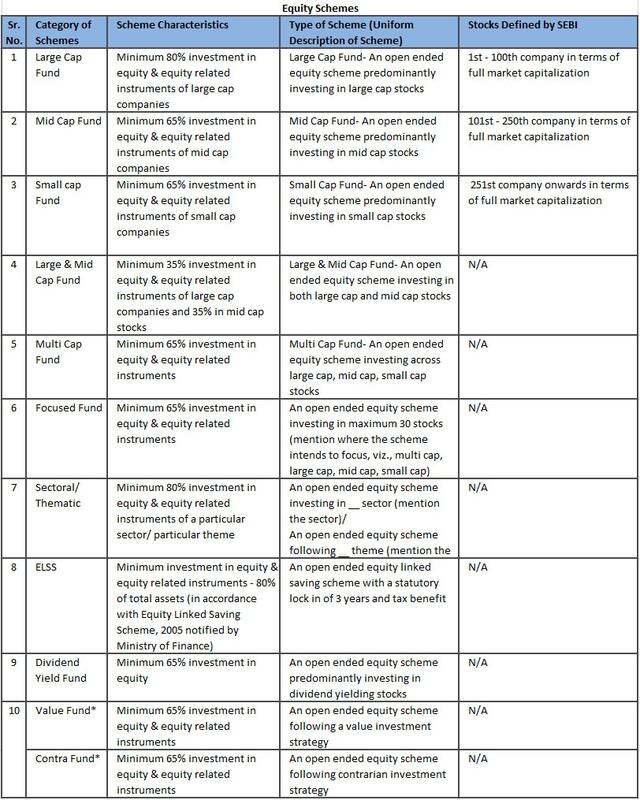 For instance, a mid cap fund must invest at least 65% of its total assets in mid cap stocks which are defined as the 101st – 250th companies in terms of full market capitalization. Similarly, a focused fund must invest 65% of its total assets in the equities of maximum 30 companies. 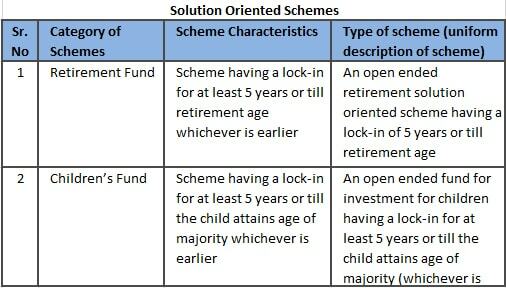 Below is the categorization of some of the schemes along with their characteristics and type. To download the detailed document of the circular issued by SEBI, click here. 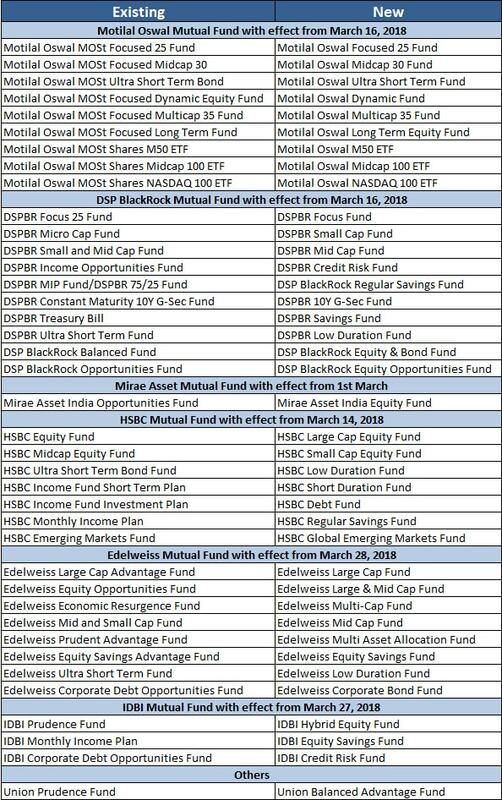 Many of the fund houses like DSP BlackRock MF, HSBC MF, Mirae Asset MF, and Motilal Oswal Asset Management Company have already started announcing changed names for half-a-dozen schemes, whereas many of them are awaiting the regulator’s approval. According to the industry players, the merger of the schemes might reduce their count by one fifth. Also, scrutinizing and changing the scheme attributes and names across the various prevailing categories might turn out to be a herculean task for both the MFs and regulators. Moreover, this exercise may lead to confusion among the investors. As per some of the distributors and the CEOs of the fund houses, this decision of SEBI has put the branding of the schemes at stake. The process of regulating the schemes is expected to continue for a while and most of the funds are going to induce the inevitable changes in the existing schemes. The investors are nevertheless, advised not to stop investing or make abrupt redemptions in this situation. Instead you should consider it as an opportunity to rebalance your portfolio on the basis of your risk profile, investment horizon, and the risk-reward offered by the scheme. For example, if you have invested in a large cap fund which tends to shift to large & mid cap, the risk associated with the fund will increase as it will mandatorily invest 35% of assets in the mid cap companies. Although the returns will be higher, there will be a mismatch between your risk profile and risk-reward offered by the scheme. In such cases, exiting the existing scheme and looking for a better option will be a smart move. Keep connected to MySIPonline for all the updates related to the change in any scheme name or its categorization.